Home Pixelmator for iOS(iOS) Make it easier to use Eyedropper tool when filling, stroking, etc an image. 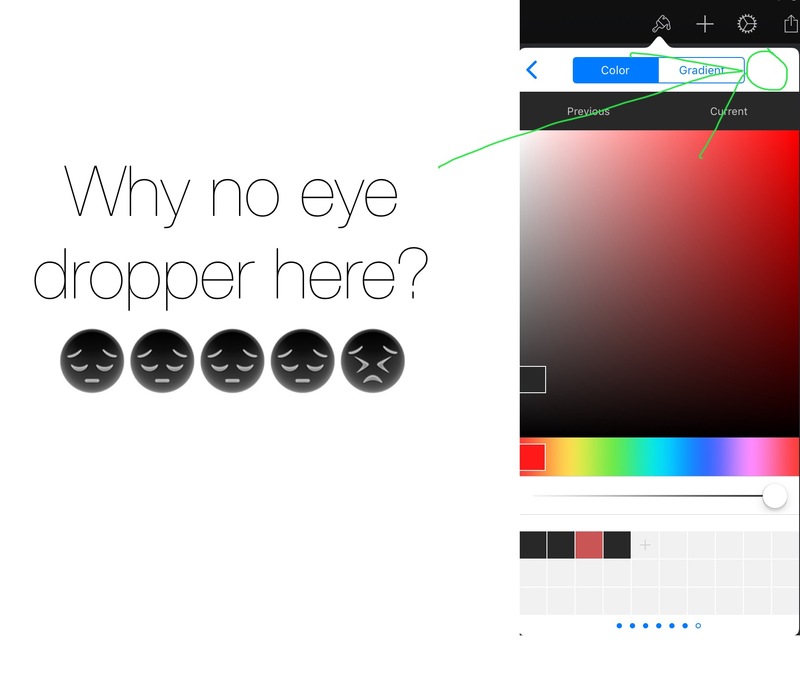 (iOS) Make it easier to use Eyedropper tool when filling, stroking, etc an image. 2) Select "Paint and Erase"
If you added an eyedrop tool on the color select menu for the fill, stroke, etc. tools, you would cut out steps 1-6. Hey there, this is actually a pretty popular request and we have it in mind for future updates!